Let the front dry over night, just to make sure that it has dried completely. 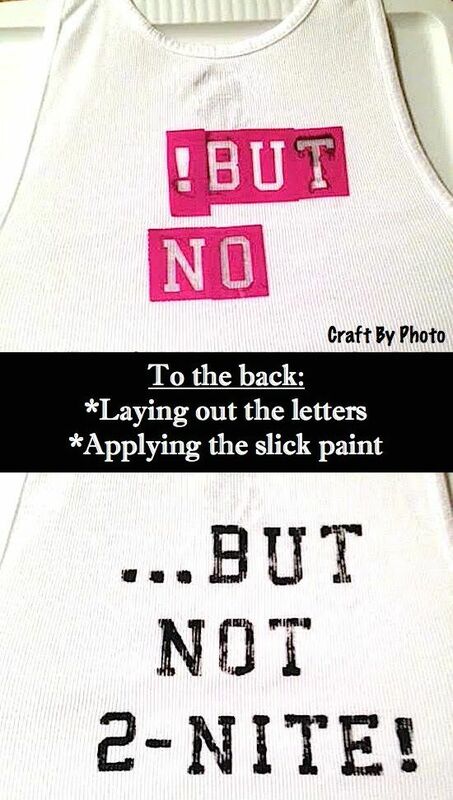 Then, you are ready to design the back side of the shirt. Just follow the directions of the front side of the shirt. Just remember to rinse off the stencil letters quickly. The adhesive side will remain, even after rinsing. They should be ready to go for your next project. Please feel free to change the letters to say whatever you want! This is your day, your project, your fun!